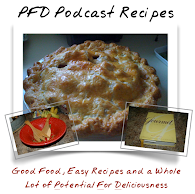 PFD Ep 12: Water, Water and More Water! Heidi's skin, Julie's pool problems. Norman cracks a smile and Heidi learns you have to wash your washing machine. All this and more on Episode 12! Max and I were working in the garden today and he wanted to test the carrots to see if they were ready. They are not not fully grown yet...but, look at how cool these two love carrots are! Max was very excited to have found them. I wonder if this means I planted the carrots too close together? Seems so. YOU'D NEVER KNOW HE WAS ONCE A CITY BOY! What's that you say? My new tractor came today? I have never been this happy in my life! But, I still love the kid more...so, he can play with it first. Indeed! What an incredible weekend we had on the East Coast. Great weather pretty much the entire time. Heidi and Julie finally found time to catch up and record episode 11. Julie has been traveling and Heidi's been volunteering lately. But we're back. Find out what they've been up to. Listen to it!